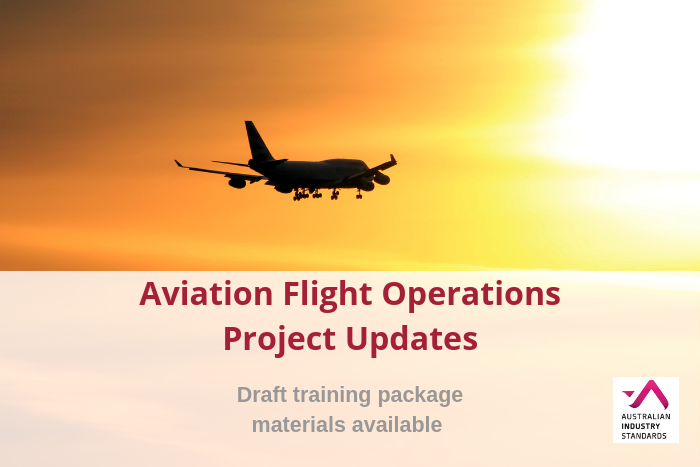 The Australian Industry and Skills Committee (AISC) has commissioned a project to revise existing qualifications in the AVI Aviation Training Package. The project will align cargo service and rescue qualifications to revised civil aviation safety requirements. The Technical Advisory Committee assigned to this project, has finalised draft materials and would like your feedback. Click here to view the draft qualifications and units of competency. You can submit feedback up to close of business Thursday, 29 November 2018.